Drive Around Town | Wheels on the Bus and More | Baby Songs from Mother Goose Club! Wheels on the Bus and More Nursery Rhymes from Mother Goose Club! Sing along with your favorite Mother Goose Club characters to the classic nursery rhyme “Wheels on the Bus”! Visit http://www.mothergooseclub.com for videos and activities! Looking for lyrics? Turn on closed captions to sing along! Big thanks to all of our fans out there, big and small! Freight Train and More | Nursery Rhymes from Mother Goose Club! Fun Adventure! 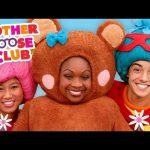 | The Bear Went Over the Mountain and More | Baby Songs from Mother Goose Club! 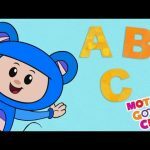 Learn the Alphabet | ABC Song and More | Baby Songs from Mother Goose Club! 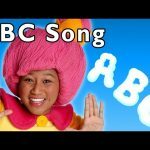 Number Song for Kids | Count With Me and More | Baby Songs from Mother Goose Club!